At Vantage Plastics we offer a wide range of capabilities and services, making us one of the most reliable companies in the industry. We are able to turn projects around quickly while ensuring the product is exceeding customer requirements within our own control. 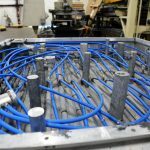 Below are the phases a product goes through when it enters the door at Vantage Plastics, each step playing a crucial role within the products development. Since the beginning Vantage Plastics has reinvested back into our operations as we have served the growing needs of our customers. We feel strongly to reinvest in personnel, training, equipment, extrusion capacity, robotics, testing capabilities, and ongoing research and development. We are vertically integrated by turning a concept into a finished product, additionally offering material management services for the afterlife of the product. This has led us to truly become a “One Stop Shop” for our customers and assist in the growth of our sales every year. 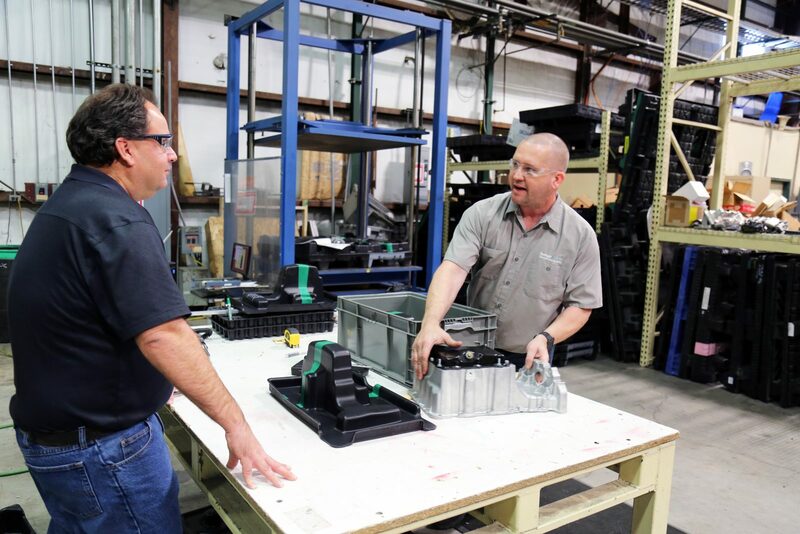 When a product first enters our facility it is brought in by our application engineers. They work closely with our customers to clearly understand what the project is and how we can create a solution. Our application engineers gather all required information for the project and deliver it to the rest of our team. They effectively communicate with the customer throughout the process to make sure all steps of the process are being met. Once all the information is received from the application engineer it is then handed to our sales engineering team. They develop a design concept to help develop a quote for the project. The quote will include formal design, prototype with samples to view and test, aluminum production tool, production samples to view and test, and production. This gives our customer a precise cost on the project and what is included within the package. Once the project is approved and accepted, it is then handed to our project engineers. 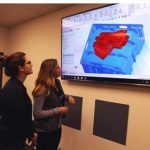 These highly experienced engineers are capable of 3D modeling and FEA analysis, which helps give better visualization of the product for our clients and potentially avoid costly mishaps. Once the project engineers approve and confirm the design, it is then ready for the step of the process. Having these design capabilities in-house is extremely beneficial and assists with turning projects around quickly. The next stage after developing a solid design from our engineering team is the production of a prototype tool. We work closely with our exclusive partner Contour Engineering. The prototype is a wood tool that serves as a rough draft version of the product and it is used to test out our design of the product before putting it into production. We create samples of the product off of this wood tool for the customer to inspect and review. We find these prototypes extremely beneficial because they help ensure the product is accurate and it helps save the customer money to make any changes before they go into production. Once it is approved and the customer is happy, the prototype is used to create an aluminum tool. Once the aluminum tool is formed we create samples off of this tool as well. The sample is then customer reviewed and inspected to make sure it exceeds the customers’ expectations. If needed, we make any changes requested to the product in-house to ensure the product is still being delivered in a timely manner. Once approved the product goes into production. After the aluminum tool is approved for production, we then look at the material needed to create the product. 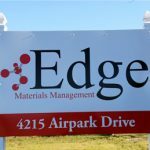 Edge Materials Management is our sister company located on-site that operates as a plastics recycling facility. 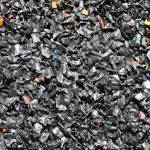 It allows us to efficiently grind trays, pallets, plastic scrap within our facility, and other appropriate plastic products. This allows us to offer our customers the option of using regrind material for production, which can help reduce cost and help benefit our environment. We also have a variety of other materials we use as well. 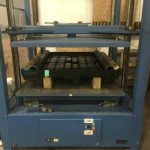 Vantage Plastics has the ability to create our own sheet stock through our on-site resource, Airpark Plastics. We run over eight million pounds of material through this line per year and these materials vary based on customer requests. The extrusion line can run sheet in widths up to 88” wide and thicknesses from 0.030” to 0.450.” Our capabilities also include the ability to run A-B-A sheet (meaning a different color could be put on each side of the sheet) and to create laminated prints on the sheet as well. The color selection is endless so it is based on customer needs. This is extremely beneficial in the process of creating a product because we have complete control of every aspect of the sheet within our own facility. 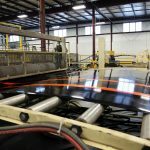 Once the sheet is produced from Airpark, the thermoforming process begins. 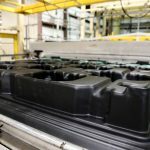 Thermoforming is the process of taking a flat sheet of plastic and forming it into a contoured part or shape. This is done by taking a flat sheet of plastic and heating the sheet in a large oven, stretching the hot sheet over a mold and pulling a vacuum on the cavity to force the sheet to the contour of the mold. At this point in the process the sheet begins to cool and the plastic sheet becomes rigid again as it takes the shape of the mold. Within our facility we have six single sheet machines, five twin sheet machines, and one sample machine dedicated to prototype samples. Once the product goes through the thermoforming process it is then ready for the next steps of product verification to make sure it is up to customer expectations and we are delivering the best product possible. Once the product is made it is then put through our performance testing. In this step we test for strength and functionality of the product to make sure it meets internal standards and customer requirements. This stage verifies all requests have been met and the product is ready for a full run of production. We go through every step necessary to ensure our products are exceeding our customer requirements. A major benefit we provide for our clients is the ability to work closely with our on-site partner Edge Materials Management. They specialize in industrial recycling and the management of materials after their useful life. We offer a guaranteed buyback program for our customers for the afterlife of their products. Edge not only provides this option for Vantage Plastics’ cliental, but also for any company that has recyclable plastic that has been evaluated and is recyclable.